We believe programs fostering health and wellness outside the hospital setting are just as important as those within. That’s why Sun Health Wellness continues to develop, support, and implement industry-leading, community-based health and wellness programs. Our programs and services target a wide range of individuals. While we offer numerous healthy living classes dedicated to general fitness, like tai chi and strength training, many of our programs also tackle some of the most common health conditions that affect the local community, including diabetes, cardiac disease, Alzheimer’s disease, and more. In addition, we also offer programs to support hands-on hospital transitions and free online educational resources—just to name a few. All come together to support our mission of supporting superior health care and wellness programs in our community. 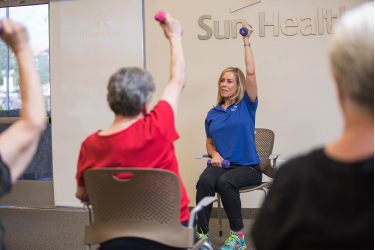 It’s because of Sun Health Foundation’s charitable donations that Sun Health Wellness can offer wellness classes, services, and programs to thousands of community members at little to no cost. As the nation’s health care system becomes more challenging to navigate, it’s critical that you have the resources you need to live a healthy, happy life. 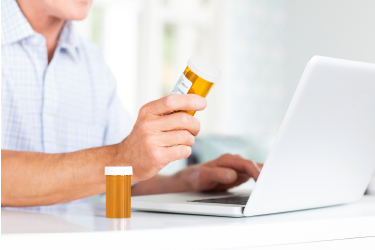 At Sun Health Wellness, we’re happy to be that resource for you. Browse our extensive list of offerings below. Wellness programs and one-on-one consultations are available to tackle some of the most common health conditions that affect our local community, including Diabetes, cardiac disease, and more. 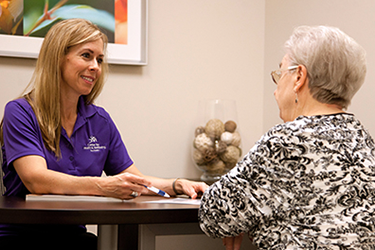 From nutrition consultations and fitness evaluations, to massage and acupuncture, our Wellness Services are unique and help improve the overall health and wellbeing of our community. 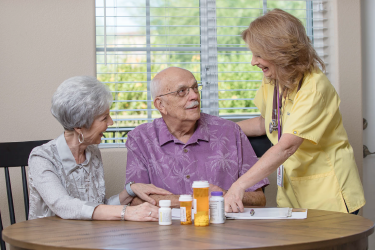 Our Consultative Services, including Memory Care Navigator, serve as a personal guide to families navigating care and treatment for Dementia, and Care Transitions, which supports a successful recovery for individuals as they transition from the hospital to home. 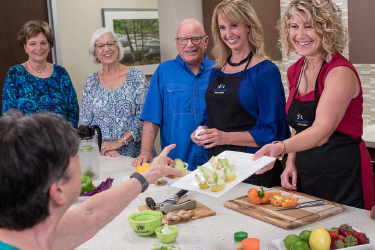 Our Healthy Living Classes have something for everyone. Whether you’re looking for a general fitness class or a series of classes on a specific health condition—we have it all. We offer free, educational resources including Vial of Life and File of Life and Online Mind-Body Programs. Together, they’ll help you live a healthy, happy life. We have a rich history as one of most influential Arizona nonprofits in health care.